Gurney grew up in Toronto, Canada. 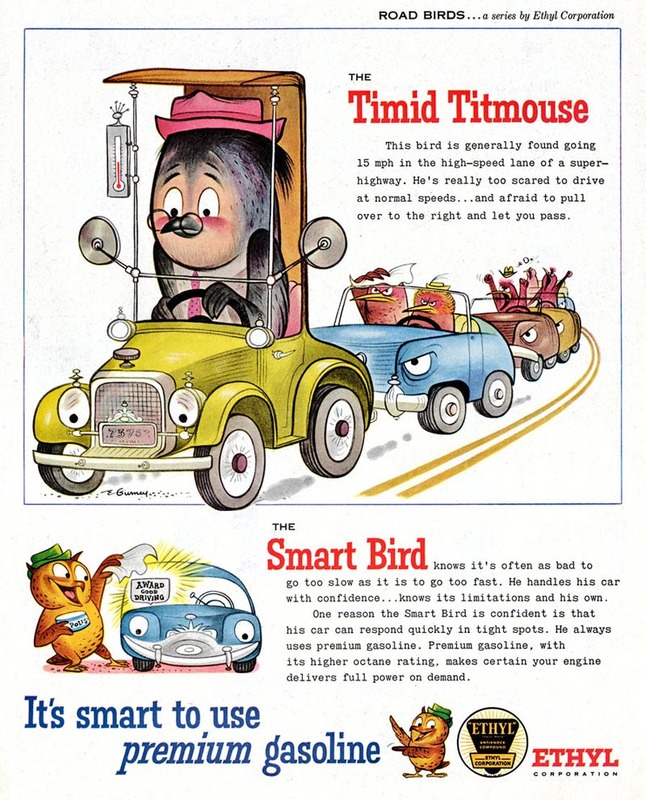 He left home in 1938 to work for Walt Disney studios in California where he worked on Pinocchio, Bambi, Peter and the Wolf and some of the original Pluto cartoons. Ten years later Gurney came back east to New York City where, represented by Lester Rossin Associates (the same agency that also repped David Stone Martin), he began his advertising art career. 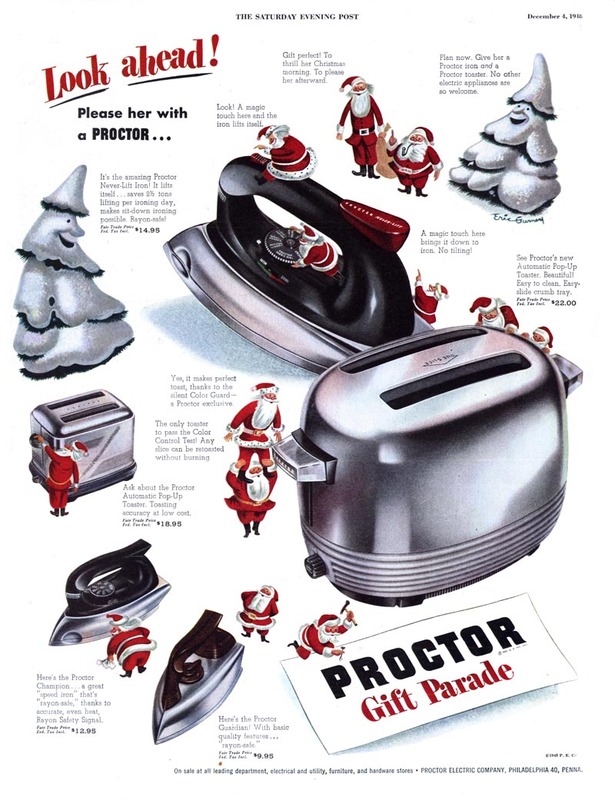 The December 1948 Proctor ad at top was undoubtedly one of his first freelance assignments. 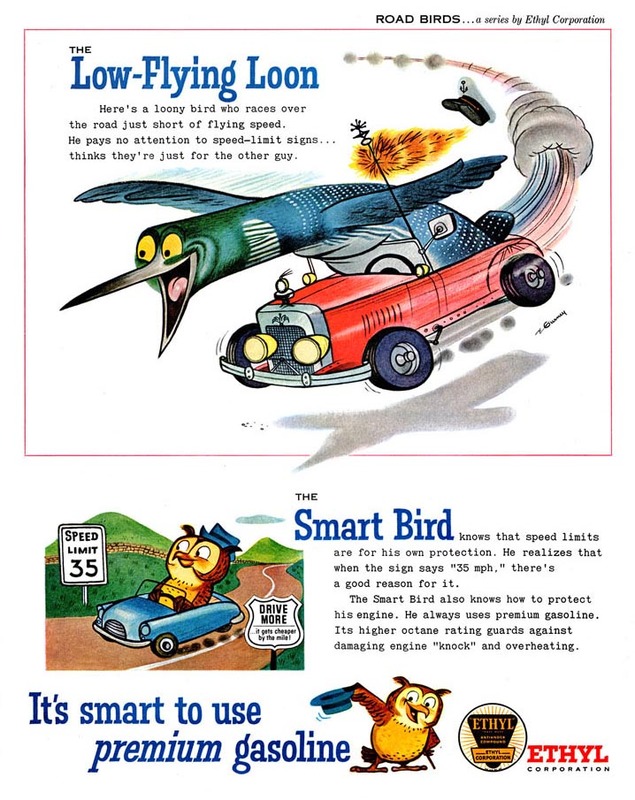 Eric Gurney’s “Road Birds” series, done for the Ethyl Corporation, was one of the most colorful ad series of the 1950’s. 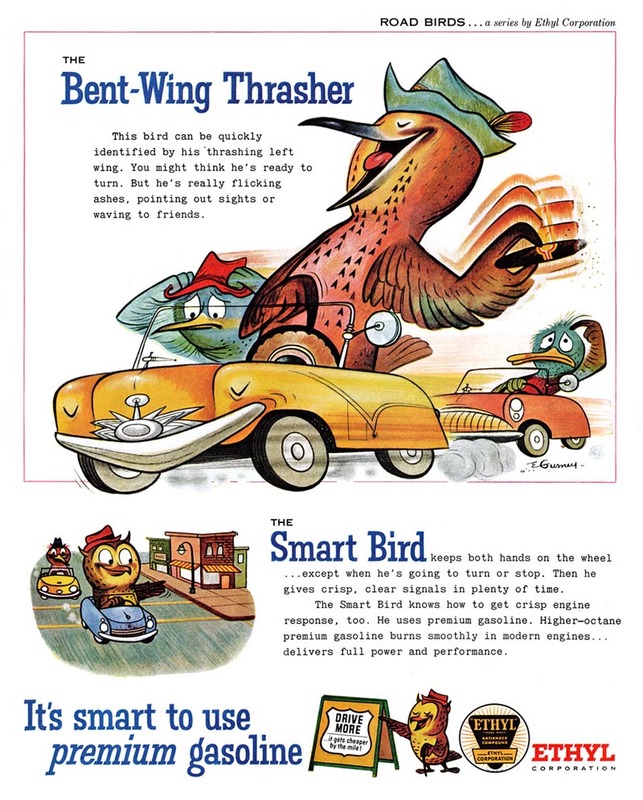 These ads highlighted the dopey and dangerous behaviour of dumb birds like “The Bent-Wing Thrasher”, “The Darting Road Runner” or “The Low-Flying Loon”. 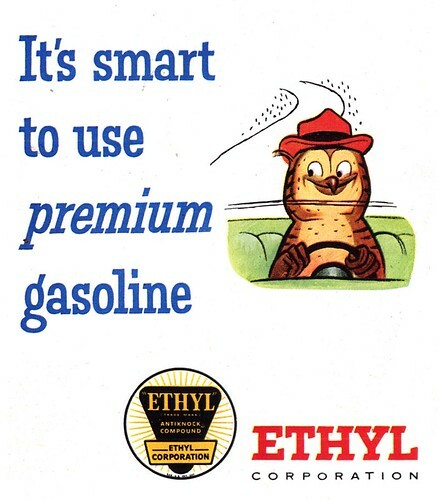 Ever present near the bottom of each ad was our hero: “The Smart Bird” – the Ethyl Owl, Eric Gurney’s cartoon mascot creation for Ethyl. 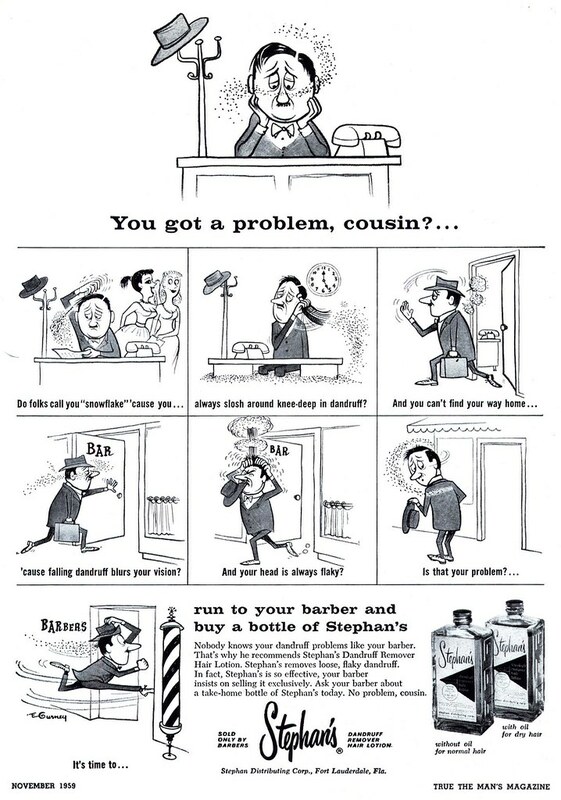 Gurney won two National Cartoonist Society awards for advertising art – first in 1961, then again in 1971. 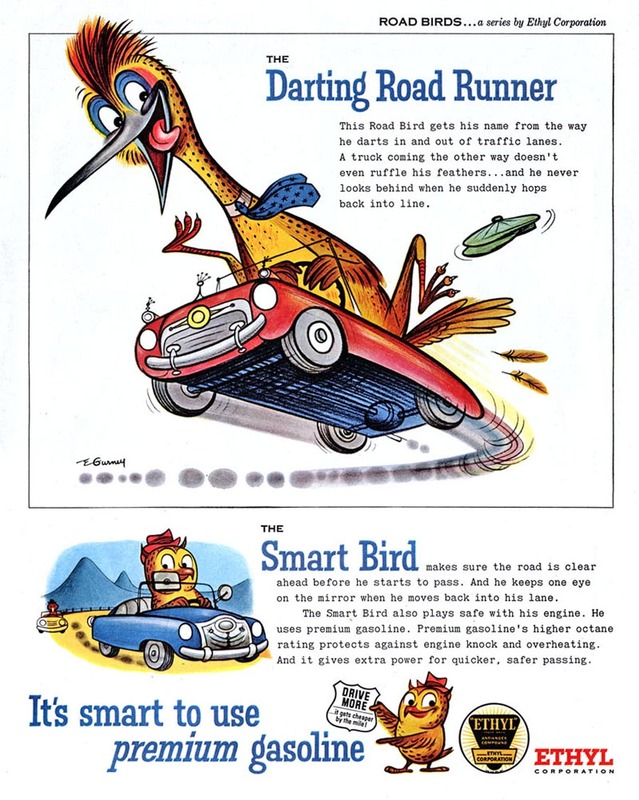 The Road Birds’ outsized bodies, bright colours, detailed inking, and the slightly crazed facial expressions they often sport remind me very much of the hotrod drivin’ cartoon monsters Big Daddy Roth popularized in the 1960’s “Kustom Kulture” scene. 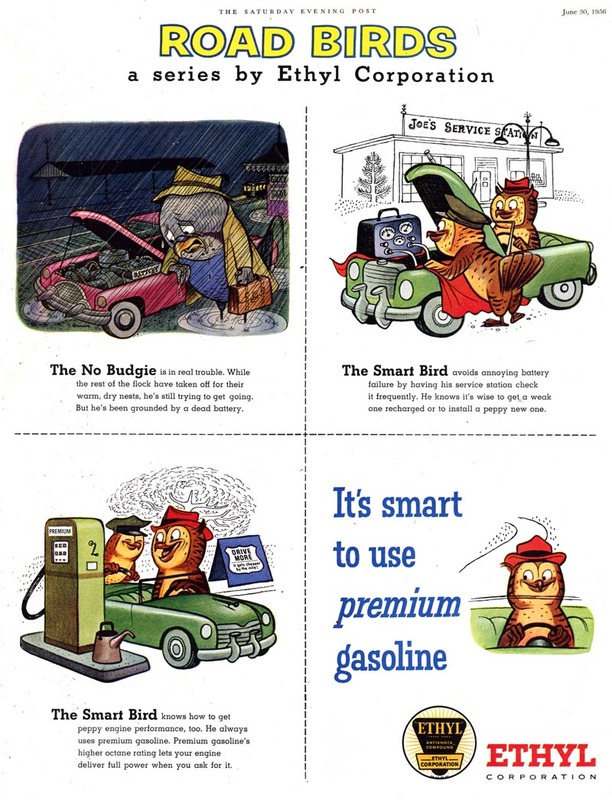 During the later years of his career, Gurney illustrated many children’s books which, as he says in his NCS bio, “sold in the millions.” He passed away in 1992. There is an Eric Gurney website… but it seems to be kind of glitchy. * Many thanks to Pau Medrano Bigas for providing most of the scans in this post!